One area of concern is where the pool shell and patio join. 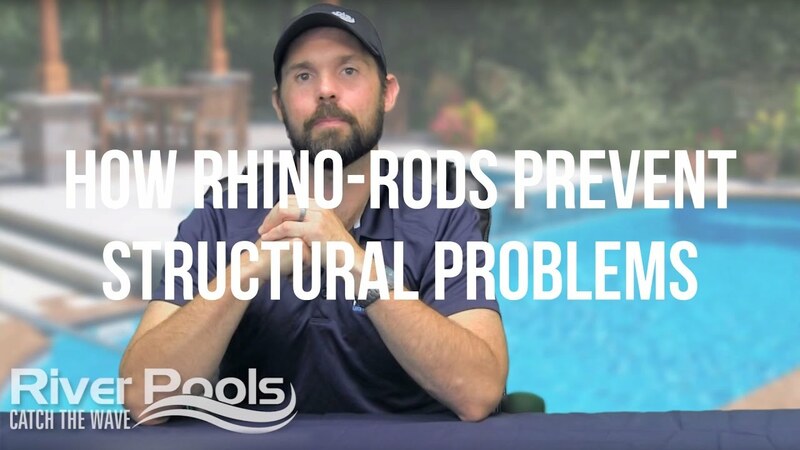 We developed our River Rod to fuse the fiberglass pool shell and patio together to prevent shifting, settlement, or movement of any kind that could result in structural failure. 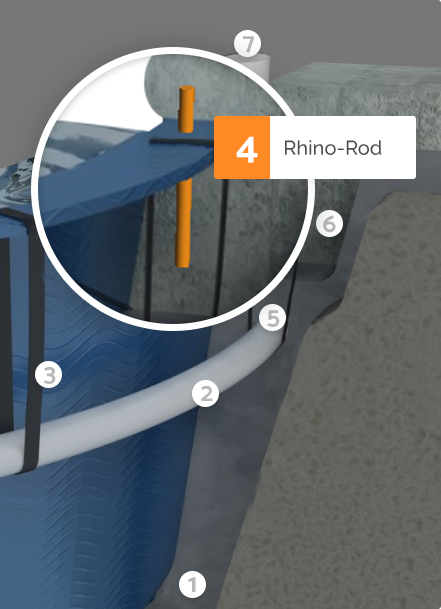 The River Rod is a 12-inch-long composite rod that we install into the top of the pool shell. It becomes encased in the concrete bond beam that we pour around the perimeter of the pool.